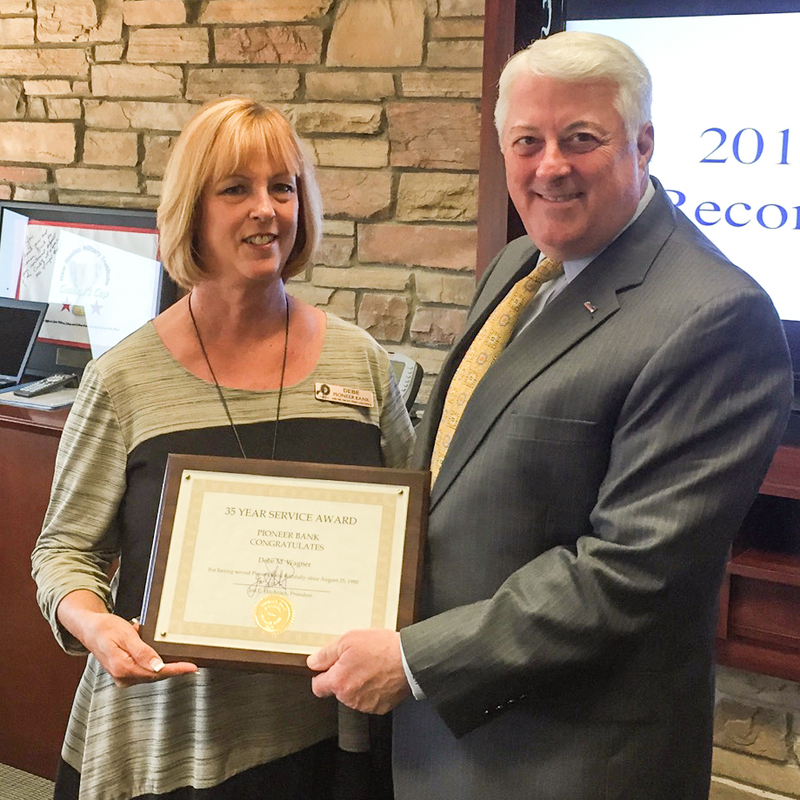 Pioneer Bank would like to congratulate Vice-President and Carlsbad Branch Manager, Debe Wagner for being a part of the Pioneer Bank family for 35 years! We have grown tremendously since she began with our company and she has seen a lot of changes. Because of caring members such as Debe, we have provided great service and products to our customers since 1901! Thank you Debe for your service to Pioneer Bank! We are very proud of you. Tags: 35 years, anniversary, best bank, bestbank, congratulations. Bookmark the permalink.